In 1950 Harold Pinter borrowed a first edition book by Samuel Beckett from the Central Library in Bermondsey. There was a pause before the library saw it again. A 59-year pause, to be precise, lengthy even by the late Nobel prize-winning playwright’s standards. Pinter had no intention of returning Murphy — describing the prolonged loan as an act that he had “never regretted” — but now the antiquarian bookseller that sold Pinter’s library has returned the book so that he can buy it back off Southwark Council for £2,000 and reunite it with the rest of the collection. 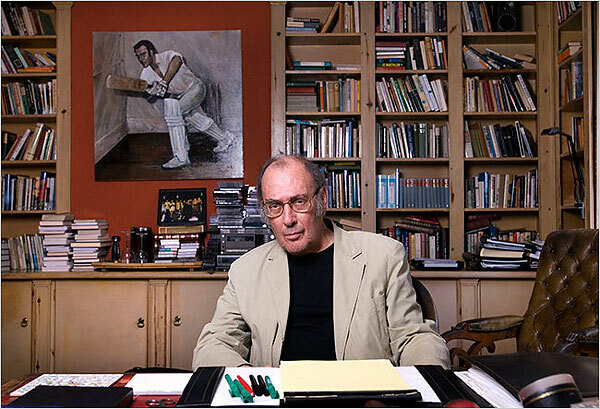 Pinter died last Christmas Eve, and the London antiquarian booksellers Maggs Bros have been preparing a catalogue of his nearly 5,000 books after their sale to a private collector. In a speech opening the Reading Beckett exhibition in 1971, Pinter openly admitted to stealing it. “Sometime in 1949, somewhere in Ireland, I happened to pick up a copy of a magazine called Irish Writing, turned the pages, and came across a passage ... I continued to read this passage, my hair standing on end. The title was Extract from Watt by Samuel Beckett. I had never heard of him; nor had anyone I knew in London. Not even the Westminster Public Library knew the name. But eventually they unearthed a book, Murphy, which had been resting in the Bermondsey Public Reserve Library since 1938. Ed Maggs, of Maggs Bros, said that the discovery of the book had left him in “something of a quandary”.